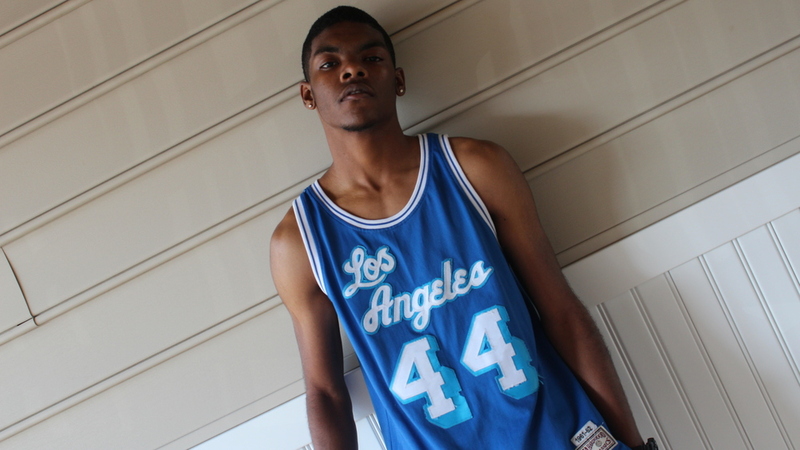 Large Sevan is a 24-year-old unsigned artist based in Raleigh, NC. Originally from Warrenton, NC, he released his first project ‘Sevo Genesis’ on November 7th 2013 while attending his sophomore year at The University of North Carolina at Greensboro (UNCG). Sevo Genesis was his first attempt at writing and recording a full release, but Large has been rapping since the age of fifteen. The album is broken into three parts, and each delves into a different side of the mind of Large Sevan. It was recorded over a two-month span in his apartment closet from August to October 2013. Sevo is known for experimenting with many flows, and his sometimes-controversial opinions and philosophies. This is reflected throughout ‘Sevo Genesis’, although the album spans a wide range of topics/moods, from trippy, to smooth, or conscious. Notable songs include ‘RNITR’, ‘Wi-Fi In Africa’, ‘Ends Low’, and ‘#STAY8UP’. His first encounter with rapping occurred when he was in the 10th grade. Large decided skip lunch one day and record a freestyle over N.E.R.D’s single ‘Spaz’ with his best friend DomIsG on a school MacBook. It is he whom originally influenced Large Sevan to begin recording. That year they formed a collective with four other classmates known as DTN, which disbanded before finishing work on their unreleased 40-track compilation. Sevo and DomIsG then continued rapping over the years, but mostly just for recreation. This changed when they began attending school in Greensboro, with Large at UNCG, and DomIsG at NC A&T. They began taking their craft seriously their sophomore year, and in this time they formed another collective, ‘Creeporation’. This group includes several other friends who also rap, including Andy V, Leak, & Foamy Cheek. In addition to own solo projects, the collective is currently working on an currently-untitled compilation project. Over the time they’ve all continued honing their crafts, and expanding their fan base throughout both campuses and networking with other local talent. The Creeporation was renamed 'Wodeci' in 2016 to represent a reintroduction of the collective. Large Sevan has original production on Sevo Genesis from several local producers, including Fourté, IamGenius, PhantomNine3, Two5K, and Jr. Finesse, and features from KEY!, Speakz, DomIsG, Polyester The Saint, and Andy Visa. He’s also released several videos, all of which are viewable on his YouTube channel. Not to overlook, Sevo also began a video series chronicling his life, known as 'Sevo Sessions'. Large released his follow-up EP, ’93.LARGE’, on 8.14.14 to accompany the launch of LargeSevan.com. He's currently well into the production of his debut album, 'LARGE'. Visuals for the first promo single for LARGE, titled 'In The Background', were released last year. 2016 also saw the launch of the 'LARGE Clothing' clothing line in May. Large Sevan recently released the first single for LARGE, 'Came Up' featuring Key!, in February 2017. The LARGE album was released on December 9th, 2017 on all major streaming services. Since it's release, Sevo has released various videos for the album, including visuals for 'LIVING! ', 'Breaking Rules', 'Topic', & 'Wake Up'.